I saw this Ewe and Eye painted canvas hanging on a needlepoint store wall and was instantly attracted to it. 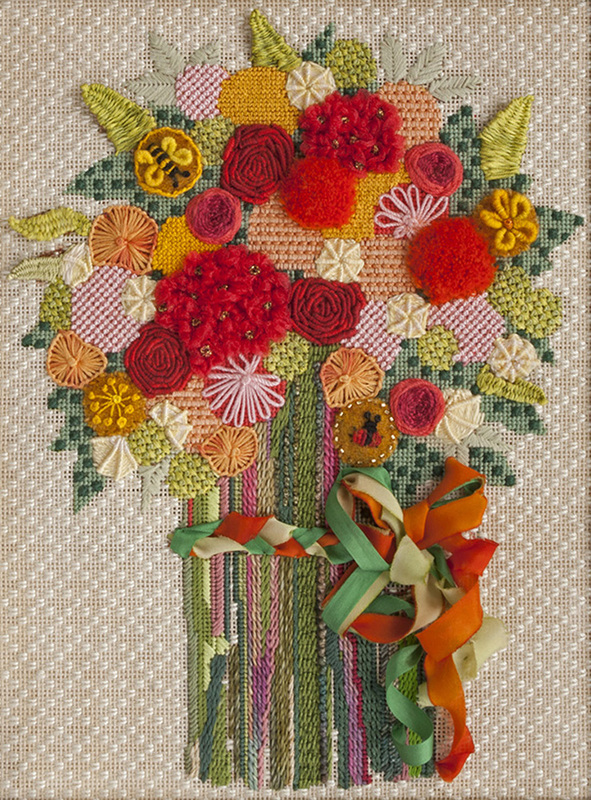 I love flowers and it just looked like a fun piece to stitch. There were so many circles! I followed the color scheme on the canvas so choosing the colors was relatively easy. It did not have a stitch guide so I decided to concentrate on practicing different stitches for circles. To my surprise, I really liked doing the bullion stitch. I used silk, cotton and wool threads. I also appliquéd wool fabric on a few circles and then embroidered those to make it more interesting and dimensional. I enjoyed stitching this piece and was really delighted with the results.